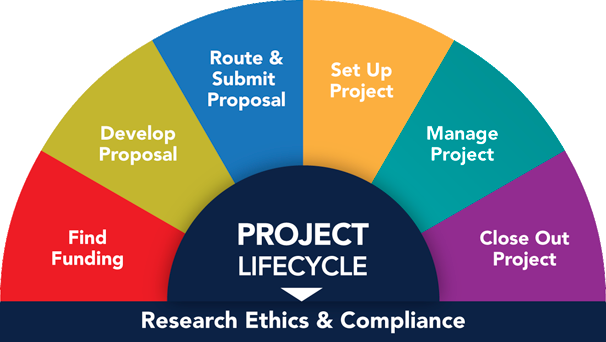 Federal regulations and NIH policy require the Responsible Party to report results information for the clinical trial no later than one (1) year after the Primary Completion Date indicated in the registration record. The Primary Completion Date is the "date that the last subject was examined or received an intervention to collect final data for the primary outcome measure" of the study. Results will be required if your study is registered as an Applicable Clinical Trial (ACT), Probable Applicable Clinical Trial (pACT), and/or is an NIH funded clinical trial. Review the Results Data Elements Definitions to understand what information is required. Participant Flow-the progress of participants through each stage of a study. Adverse Events-all anticipated and unanticipated serious adverse events and unanticipated other adverse events exceeding a frequency threshold of five percent (5%) within any arm of the clinical trial. Login to the ClinicalTrials.gov PRS, open the applicable record, and click "Enter Results". Complete the required and optional data elements. See ClinicalTrials.gov Results Review Criteria for guidance. Statistical analysis plan-if separate from the protocol. Each document must be the most recent version reviewed by the IRB and include a cover page with the Official Title of the study, the NCT number (if available), and the date of the document. Preview, inspect, and submit the registration record. Verify in PRS that the Record Status is "Released." ClinicalTrials.gov will not process the record unless it is released. Anytime the Responsible Party releases a record, PRS staff will review it for any apparent errors, deficiencies, and/or inconsistencies based on the PRS Review Criteria(link is external). If PRS Staff identify potential issues with your record, they will add comments to your record. Major comments must be corrected or addressed. Comments identified as Advisory, should be addressed to improve clarity of the record. Monitor the record for any PRS review comments. Respond, in a timely fashion, to any communications from U-M oversight units (i.e. Regulatory Affairs, ORCR, etc.) regarding PRS review comments related to your study record. Make corrections in response to PRS review comments within 25 days. Release the record for PRS review, once all corrections have been made. 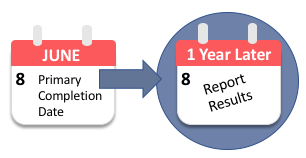 Is it possible to request an extension or delay for the submission of study results? The Responsible Party may submit a certification or extension request in ClinicalTrials.gov to request a delay for reporting results. Certification requests are allowable when the study is completed before a new drug or device is initially approved, licensed, or cleared by the FDA, or when the manufacturer/sponsor of the study is applying for approval/clearance of a new use of an already approved drug or device. An approved certification request will delay the deadline to report results for up to two years from the certification date or for up to 30 days after the FDA approves, licenses, or clears the drug or device, whichever occurs first. Only one certification delay is allowable per study. Extension requests are allowable for a yet-to-be-defined list of "good cause." The NIH reviews each request and grants reporting extensions. How long does it take to submit results on ClinicalTrials.gov? It can take anywhere between 20-40 hours to submit results on ClinicalTrials.gov. Do I need to submit results to protect publication rights? No, trial results are not required for "non-applicable" trials that are registered on ClinicalTrials.gov solely to comply with ICMJE policy.